Happy New Year everyone! How did your holidays go? I’m very happy to have spent time with my family, but I can’t wait to get back to business. And that’s not just because another year is upon us, but because from all angles, it’s likely to be another exceptional year. Looking at the Calgary market right now, I can see that it’s still on a roll and there seems to be no sign of it stopping any time soon. I believe it is strong enough to hold its own despite the economy in North and Central America. Although its growth may come at a slower pace, the market is healthy and may remain so for the remainder of 2014. Unemployment rates are also at an all-time low. According to Emerging Trends in Real Estate 2014, a survey conducted by PricewaterhouseCoopers (PwC), Calgary is the unanimous “top market” choice for prospects in the investment, development, and homebuilding categories. And the Conference Board of Canada thinks Calgary will be one of the country’s economic leaders in the next four years. I’m also looking forward to a major step for us as a family, with both my kids going to university this year. It won’t be the same without them at home, but I’m glad that they’re on their way to fulfilling their goals and dreams. I wish them all the best, and they know they have our unwavering support. Coincidentally, I’m also turning 60 this month. People say life starts at 40, but I feel like it is starting all over again for me! Have you had time to reflect on what to expect in your life in this brand new year? You may find good things and bad, but just remember that life is what we make it to be! 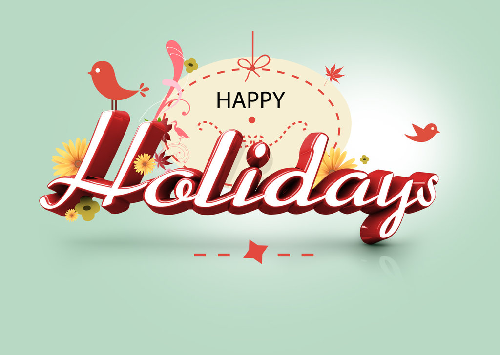 The holidays are here again, and it brings me joy to wish you all a warm Season’s greetings. I hope that you have the opportunity to spend time with your family this time of year, and if you don’t, I implore you to make time for them. Sometimes we men become so busy and get engrossed in our jobs that we forget one of the most important jobs in the world—being a father, a son, a brother, or simply a friend. This holiday season, spend some quality time with the people you love. Go home to your parents or call a friend; this is the time to remind the people around you that you’re there for them—that there are reasons to be happy even if things don’t always go our way. As for me, this season has always been a time to set goals for the next year and to take stock of what was accomplished this year. Overall, I would say this was a good year for me, and I hope it’s the same with you, too. I have some things lined up for next year that will surely change things up a bit for me and my wife Bette. For now, I just want to take advantage of all the good cheer this season brings and enjoy it with my family,friends, and loved ones. To all of the people who have been a part of my journey, I hope I had made a positive difference in your lives as you had all made in mine. I would like to take this opportunity to thank you all for your support and warm greetings. I’m sending them all back to you, together with wishes of good health and prosperity for the coming year. Most of all, thanks for your valuable time. Time is something we cannot take back once spent; I’m glad to have spent time with all of you and look forward to spending more of it with you in the future. Here’s to good health, prosperity, and more time to enjoy both! Brad has been making home buying, selling and investing in the Calgary area smooth and stress-free for nearly a decade. He is an awardee in the Calgary Real Estate Board Million Dollar Club, a member of the RE/MAX 100% Club and a recipient of the RE/MAX Hall of Fame Award, and is one of the few Certified Condominium Specialists in the Calgary area. Brad is as devoted to his clients as he is to his wife and two children who are now young adults. I’ve been helping people buy and sell Calgary real estate for many years, and I feel very fortunate because the headlines these days say Calgary is booming. I don’t even need to see the statistics to know it’s true; when one of the biggest branches of Tim Hortons in this city runs out of donuts, you’d know the market is crazy! But how did this is all start anyway? Any mention of Calgary before 1947 immediately brought up images of cows grazing on miles and miles of prairie. That’s not a bad thing, especially because that’s how the city’s world-famous Calgary Stampede started: as a small agricultural show and rodeo in 1912. To this day, when it’s Calgary Stampede time in July, the whole city shuts down for 10-12 days — it doesn’t matter what industry you’re in. And you’d be odd if you wear a suit; people dress up as cowboys. 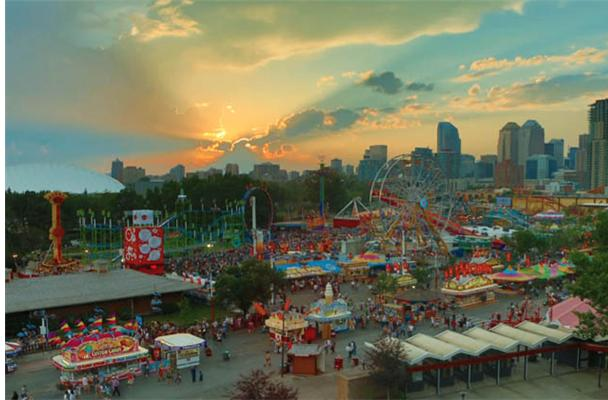 I take my family to the Stampede grounds each year and Calgary won’t be Calgary without it. The story of Calgary’s boom started when huge oil reserves were discovered in Alberta in 1947. In 1973, when global oil prices surged with the Arab oil embargo, Alberta’s oil resources took centerstage in Canada and Calgary’s economy boomed. The drop in oil prices in the early 1980s dragged down Calgary’s economy with it, but the city recovered and became a major cosmopolitan and cultural hub when it diversified to tourism, light and high-tech manufacturing, film, e-commerce, transportation, and services. Today, Calgary is the Best Large City in Canada, the Top Canadian Investment Town, and the 5th Most Liveable City in the World. And it’s showing no signs of weakening, with impressive economic growth, population and in-migration, and housing market forecasts. The TD 2014 forecast even hails the province of Alberta as the “comeback kid,” with a housing market that’s among the healthiest in the whole of Canada. In fact, Calgary may be on the verge of another boom once Alberta’s new oil pipeline is approved. When that happens, Calgary is expected to rank even higher on the list of the best spots in North America for employment. I think the roots of Calgary real estate make for a great story, but the plot is getting even better! Located in the natural grasslands of Alberta, Calgary is the top real estate market in Canada today. Any talk about it is bound to teem with superlatives. 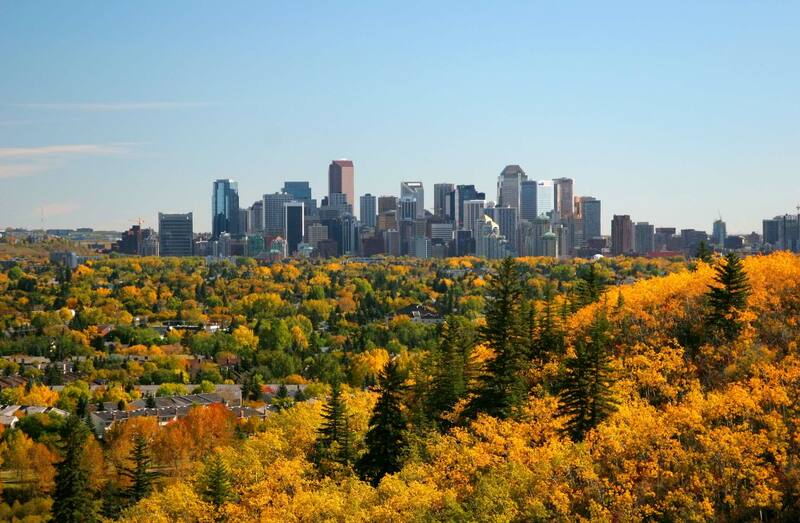 Check out below why Calgary tops numerous lists of Canada’s Best Cities to Live In. People from all over Canada and the world are flocking to Calgary because of its jobs. This city has come a long way from being a mere Cowtown that specialized in large ranching operations (its biggest yearly event is still the Calgary Stampede), to becoming one of Canada’s wealthiest cities. The discovery of large oil reserves therein in 1947 and the ensuing industrial diversification to sustain growth have raised the average household income to $125,733 and lowered the unemployment rate to 4.2%, almost half the national average. The influx of migrants due to the economic boom has made Calgary the most populous city in Alberta, with more than a million residents representing over 200 ethnic groups. It has thus become a cosmopolitan hub, with some of the best amenities a modern city could have, in varying degrees across its four quadrants. It is also the youngest city in Canada, with almost half the population aged between 20 and 44 and the average age 36. But the people are friendly and the civic spirit is strong, propelling Calgary to the ranks of the world’s cleanest and top eco-cities. The same spirit has quickly lifted Calgary from the damage wrought by its record flood in June this year. What would you not give to live in a city that not only has plenty of jobs and a vibrant culture but also offers views that will take your breath away? Calgary is nestled between the Canadian Rockies and the Canadian Prairies, making it home to many spectacular parks and winding rivers, hiking and skiing trails, and other recreation spots for the entire family. So after a hard day’s work, you can have a wonderful time high up in the hills or just walking your dog in the park. What a life! If you want to be a part of this growing, booming community, check out my listings and let me help you get the best deal on Calgary real estate for you and your family. 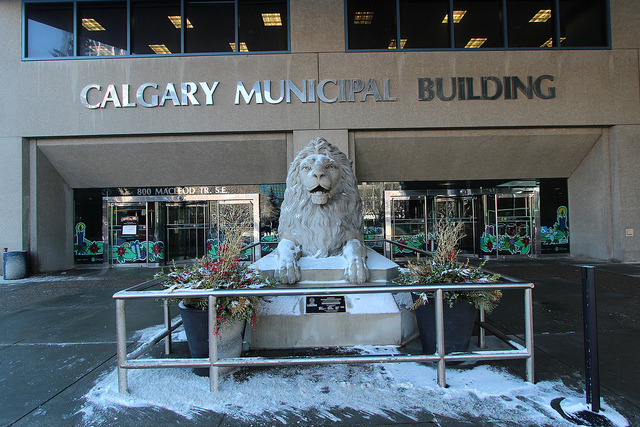 Calgary Real Estate Christmas Kicker: Bazaars! It’s November, and Christmas is in the air here in Calgary so my wife Bette tells me I have to take a quick break from selling Calgary real estate to scout for gifts in one of the many Christmas bazaars opening here this month. 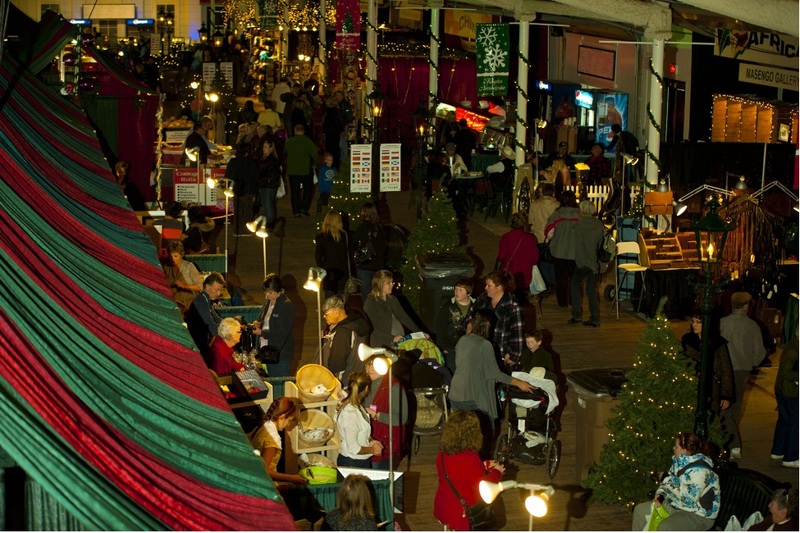 Christmas bazaars are the official kick off of the season… and if you haven’t gone to one yet, you might want to try going this year because it’s a great experience. You’ll start to feel it’s Christmas, you’ll start to get into the giving mood, and you’ll start to revisit Christmas values. If you’re planning to drop by here in Calgary anytime soon, we have a good number of bazaars that you could visit. In fact, we have almost 70… and counting! There’s the Annual Christmas Market at Crestmont, the Christmas Craft and Trade Show at Sandstone Valley, the Holiday Gift Market at Hillshurst, and a lot more. Bette and I always go to at least one of these two bazaars, though. We normally go to the Christmas market at Spruce Meadows because it’s near our place. Bette has been waiting to go back there to find some nice home decors in time for Christmas. I like the homemade ornaments because they’re different from the commercial ones. Last year, we found this ornament that really looked awesome with its lights on, and we got it at a bargain price, too! Spruce Meadows has more variety to offer than most Christmas bazaars – it has food, music, lights and everything that makes for a festive environment. And while walking around the bazaar, I’ve even bumped into friends and clients selling all sorts of wares — and that really doubles the fun! This is a bit farther than Spruce Meadows but I like this bazaar because I think it’s got a lot of class and it sells lots of one-of-a-kind gifts, mostly crafts like glass paintings, pottery, quilts and wood carvings, that are not commercially made and that are originally handcrafted by local artists and crafters. But what I like most at Priddis are the homemade jewelry with stone fittings that are made of gems found in Canada. And it seems I’m not the only one who likes them, as I’ve learned that they’re the hands-down bestsellers in this bazaar! Bette likes them too; and in one of our visits here with some friends, I saw her particularly enamored with a necklace, so I asked a friend who was with us to go back to the vendor and buy the necklace. I’ve heard that a lot of people our age usually don’t give gifts to each other anymore, but to me, that’s not fun and in keeping with the Christmas spirit, so I won’t be breaking that tradition any time soon. If you ever decide to visit one of these bazaars, just remember to bring cash as not all the sellers accept plastic, besides which paying in cash makes it easier to haggle — and that’s the most fun that you’ll have in bazaars! I’ve been pretty successful with getting a good price for my purchases too. 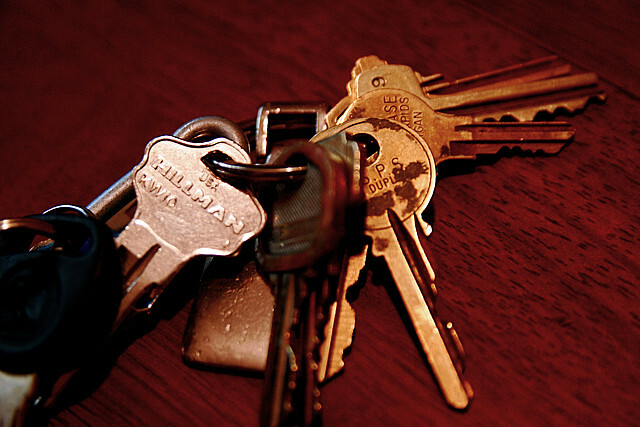 Having had a lot of negotiation experience as a Calgary real estate agent has come in handy! Which Type Of Person Are You: The House Type Or The Condo Type? Whether you’re looking to buy your very first home or are scanning the market for what’s now your nth home, it’s good to know the answer to that question. Finding the right home boils down to knowing which one is a perfect fit for your personality, values and lifestyle, and living in a house is certainly very different from living in a condo. How about taking a short test to find out which type you are? Nothing scientific here, just fun and a few great insights about yourself. For each of the statements below, think about whether it’s True for you or False. Then give yourself 1 point for each True answer, and 0 point for each False answer. Then read further down to know which type of person you are! If what’s most important for you in a home is to be able to call the shots and not hear much of the neighbors’ ruckus or worry too much about disturbing them, you’d want a house. But if you’re hardly home anyway to be bothered much, and if you don’t mind or even enjoy signs of life, you might want to spare yourself the typically higher cost and hassle of purchasing, cleaning/maintaining and securing a house and go for a condo. Lots of space or easy reach? If you have a big family or like to invite the whole gang to your home, are claustrophobic, and love gardening or buying, collecting or stashing away things, you’d need lots of indoor and outdoor space, which you won’t find in a condo. But if you prefer having everything within reach or just a few steps away, go condo. There are other reasons for choosing a home over a condo or vice versa, but these are a good start. If you still can’t make up your mind, check out some of the condos and houses on the market to give you a better idea of your options and the right choice should soon stand out. Would you like a stress-free real estate experience? If you or someone you know is looking to buy or sell in the next few months, call me today at 403-259-4141 and I’ll put you and your needs first. It’s Thanksgiving Day, and while most households would be abuzz with preparations for the traditional family dinner, this day each year, my house turns into a “restaurant” for 26 people (as of our last count). My wife Bette and I clear out the main hall of our 1,100-square-foot bungalow and rent bar tables, round tables and kids’ tables and chairs good for 26 people. Those include our small family of 4 and our good friends. Then my wife and I get busy preparing the turkey and our family’s traditional Thanksgiving cabbage rolls (I do help out if I can find the time, as I like to cook!). With each of our guests bringing their own traditional dishes, we always have a feast! Oh, they’re a most interesting and eclectic bunch, these special friends whom we’ve kept through some 15 years from a small group that just kept growing. 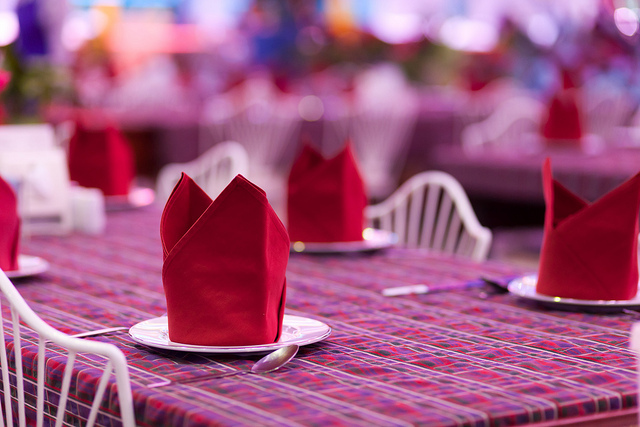 During these dinners, besides sampling the great food, I love to sit back and just let everyone have a good time. When I do that, I see much more of who they really are. And as all of us relax, something wonderful just seems to happen! For example, I still chuckle over an unforgettable memory of two of my good friends doing an unlikely karaoke showdown after having one too many glasses of wine, and becoming better pals after that! That reminds me of what Thanksgiving really is to me: a day of gratitude for family and great friends, who keep our spirits alive. To all my fellow Canadians, happy Thanksgiving Day!